National Park Service special agents and U.S. park rangers are investigating a stabbing earlier this month in the Lake Mead National Recreation Area. A man was stabbed around 5:45 a.m. Sept. 7 at Stewarts Point in the northern section of Lake Mead National Recreation Area. The victim was transported by Mercy Air with critical injuries. The suspect reportedly fled on foot. A person of interest is described as a white male, approximately 5 feet 10 inches tall. 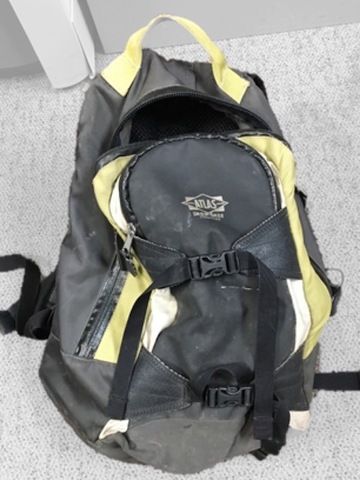 He left behind a black backpack with yellow-green trim. Anyone who was in the area of Stewarts Point on or before Sept. 7 or anyone with information that could help investigators is asked to contact 888-653-0009, www.nps.gov/ISB click on “Submit a Tip,” email nps_isb@nps.gov or message ISB on Facebook at InvestigativeServicesNPS or on Twitter at SpecialAgentNPS. Though persons may remain anonymous, up to $1,000 is offered for information leading to the identification, arrest and conviction of those responsible.